Celebrity weddings are seen on gossip websites and magazines, and many of them are extravagant events with tons of well dressed A-listers gathered in an exotic location. But some Hollywood couples prefer to keep their ceremonies a bit more low-key. 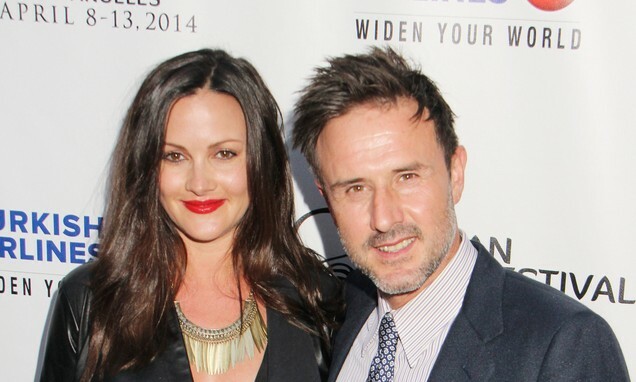 In the latest celebrity news from UsMagazine.com, famous couple David Arquette and Christina McLarty celebrated their celebrity wedding in Los Angeles this past Sunday, April 12. The newly married celebrity couple held an intimate nuptial ceremony in front of their families and closest friends. The couple got engaged in July of 2014, and have an 11 month old son, Charlie West. There was no lack of intimacy in this celebrity wedding! What are some advantages to keeping your wedding small? 1. Save money for the honeymoon: Not only will your special day be more intimate, but cutting down on the cost of the wedding will allow for you and your significant other to splurge on an awesome romantic honeymoon. Spend a week soaking up the sun in Bora Bora, or explore a whole host of European cities while drinking expensive wine and feasting on the local cuisine. 2. Give your guests awesome wedding favors: It’s the end of the wedding reception and you’re saying your goodbyes, when the bride hands you a set of personalized coasters commemorating “Jessica & David’s Everlasting Love,” which will probably gather dust in a junk drawer at home. But having a smaller wedding will allow you to give your guests thoughtful and cool gifts they’ll actually use. Wrap up the supplies for your guests to make a delicious cocktail, or gift them some beautifully scented candles in mason jars. 3. Have food that’s actually delicious: You’ve probably been a guest at a wedding where the standard fare was dry and less than appetizing. Instead of serving your guests the regular steak, chicken, or fish options, a small wedding will allow you to feed your guests some really delicious and unique food. If you know that your guests like Japanese food, get a variety of sushi and sashimi and make a DIY sushi bar, or serve up some fancy mini sliders and french fries in paper cones. What are some other advantages to having a small and intimate wedding? Share in the comments section below!